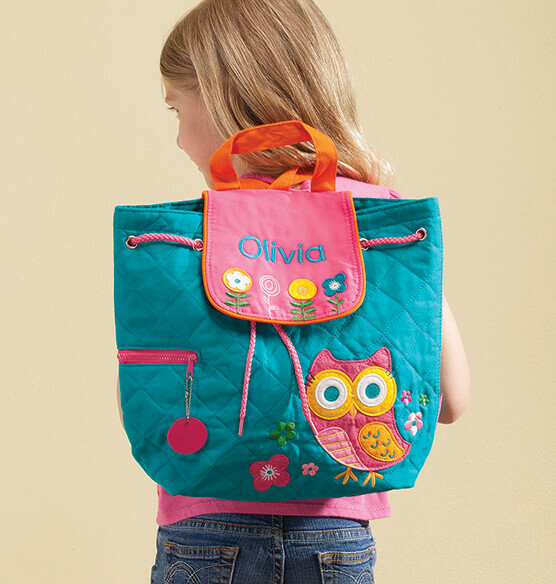 This cute, little owl knows just WHOOO'd love this Personalized Stephen Joseph® Owl Quilted Backpack ... and when personalized, everyone knows WHO it belongs to! Stephen Joseph designs this adorable backpack just for kids, but combines with premium features and easy-care durability parents love. The versatile design can even double as a diaper bag, then work its way through daycare, preschool, Kindergarten and sleepovers at Grandma's house. 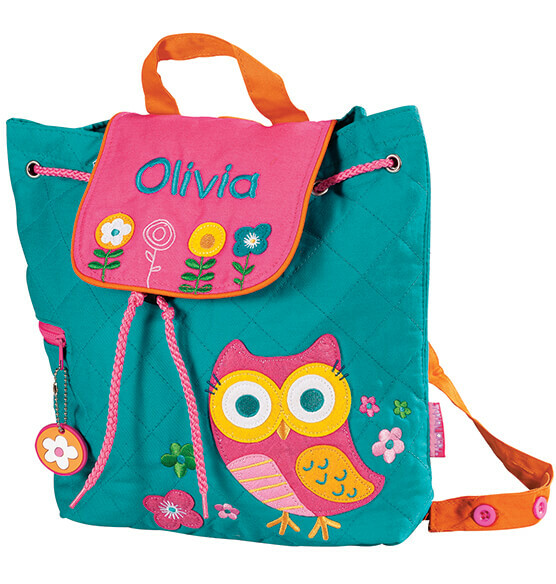 The bright, quilted owl backpack features an adorable embroidered owl design with a sweet, floral zipper pull for an added "hoot". It features a carrying strap and adjustable shoulder straps for easy toting. Very nice for a little girl. Good quality.